I think you are making a mistake. This is a very short trip you are making for such a place specially considering YOU HAVE TO ACCLIMATISE . Chitkul is very high up . Also I would suggest you stay longer at kalpa coz it has better place to stay, you can try the hptd hotel , its nice. I stayed there. Atleast go for 7 nights . Thanks Anando-I will then go in with 7days plan- can you please help me devide the 7 nights for me- like where to stay more.. I am guessing you are going through Shimla , if thats true then you can stay one night at Narkanda 3 nights in kalpa/reckong peo and 2 nights in Chitkul. Chitkul is technically a very small village however its really beautiful..its so high up yet its in a valley between lush green mountains . I had put up some photos of kalpa and chitkul here..u can check it out . Rest one day at kalpa to acclimatise. @ Suman – Anando has already answered most of your questions. 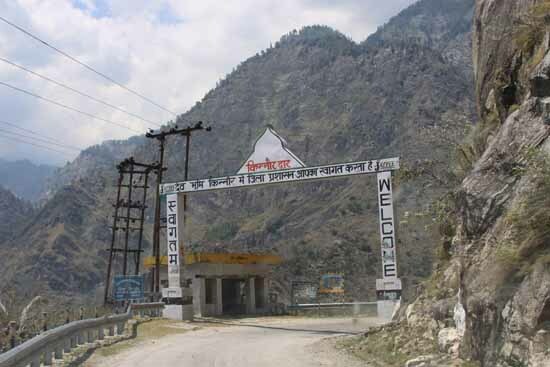 Sangla has better acco options and you can do a easy lunch-trip from Sangla to Chitkul. You would see snow in Sangla and Chitkul. Narkanda gets snow as well but you would be a bit early for it. You get tons of snow in June on Kaza-Manali stretch (Kunzum, Rohtang). I read people are saying they have either done or will be doing Behror to Narkanda? I think its nuts. There is always a huge traffic jam these days outside Delhi/Gurgaon that takes around 3 hours to come out of. I think a better idea would be to stay in Gurgaon and then start early morning to Narkanda. Responding to your query here so that it is easier to track. Please make a new comment if you have more questions. 1. Indore-Behor would take most of your day and then Behror to Narkanda would be a long haul as well. Leave as early as possible from Behror to avoid traffic at GGN Toll. Did you explore coming via NH2 ? 2. Since first two days have been pretty long, avoid Sarahan. It is on a detour and would make Sangla drive hard. The last leg of Sangla drive should happen in day light. Skip Sarahan. 3. Skip Kalpa but stay for two days at Tabo. 2 days at a place would give you a much needed break before we climb further to Kaza and Tabo is like being in heart of Spiti. 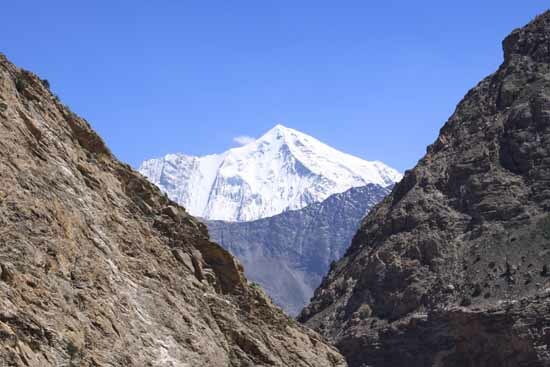 Kalpa is for ‘Mount Kailash’ view which you can see somewhere or the other as you drive to Tabo. 4. Pin has a different access point. Needs more time. Skip. You already have quite a plate full. 5. Good thing you did by booking hotels. :-) If you are already booked at Kalpa and can’t change it then let be it. 6. Chandrataal needs more planning. Find out status at Kaza and then decide. Kunzum is a high pass so you dont know when the weather would change hence keep more time with you and keep moving. 7. Manali Delhi is again a long haul. And Delhi-Indore would again need a break. So instead I would suggest that you break your journey at ‘Mandi’ and visit ‘Rewalsar Lake’. Next day start from Rewaslar and go as far as ‘Shivpuri’ and stay in jungle. Hi Nandan, the way you have presented the Shimla � Kaza road trip, it seems to be quite interesting. I and my friends have been planning a road trip from a long time; this is a great idea. Thanks for providing the details. Thanks for posting such informative blog. Will be really helpful in my travel to Kaza. I have a question though. 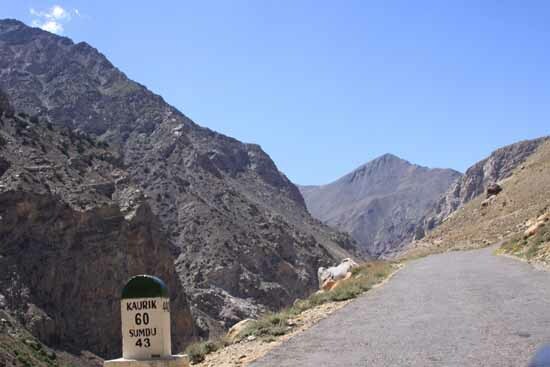 Will a Maruti Ritz go on this road (Sangla to Kaza)? Rubal – Thanks. Ritz is an excellent choice because vehicles like Ritz (and Alto, Santro etc) are very agile so altitude wont come in way. They are very successful in hills and they never get stuck because of being light. The only problem which I see is the ground-clearance, especially beyond Rakchham since in certain sections the roads are in pathetic conditions because of power-plant business (heavy machineries, heavy vehicles ruin the road, not much can be done except to wait for the power-plant work to finish) so be careful. Do not load the back too much and go steady. All the best. Superb! sounds great. I’ll take my chances, I guess :). Thanks again. Your quick response is much appreciated. How long would it take approx from Kasol to Nako by bus and car ? 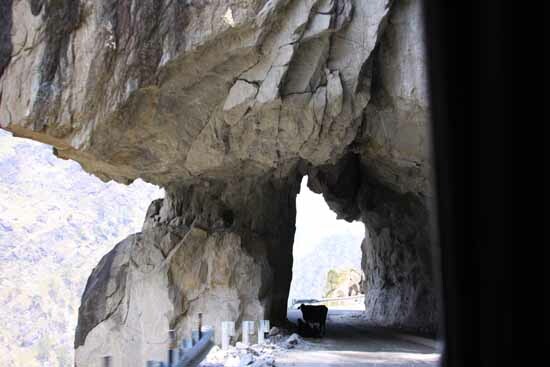 Kasol to Nako via Aut-Rampur and then the regular Indo-Tibet road would be in excess of 12 hours. Kasol to Nako via Manali-Kaza would again be in excess of 12 hours. Great post. Definately I planned for this road trip in my next vacations. Nice & well descriptive writeup. 1.I would like to ask that is it the same pattern journey as while going to leh as i have been thr . 2.which all cars are preferable thr . as i have altis or i have to arrange suv sought. 3. whr will be hotels available in whole tour . 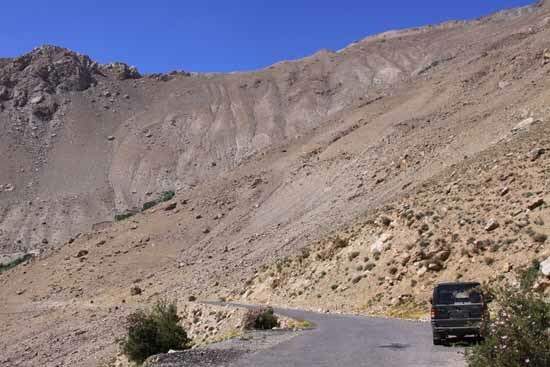 If you have driven to Leh then Shimla-Kaza is much simpler. Kaza-Manali via Baltal can be harder than Leh. Of course it greatly depends on when you go. Altis would work fine, just be watchful in Karcham area where the road is broken because of numerous power projects. Hotels are available at most of the places. Kaza, Sangla, Kalpa, Sarahan and Shimla are bigger towns and would have hotels. Found out your earlier comments very useful. I am trying to plan my journey in two halves. First at Kalpa for 1 day. Then at kaza for next 2 days. Back to kalpa for 1 day and sarahan for one day. Is it ok. Can I cover most of the nearby places. Hi Nitin – Shimla-Kalpa would be about 8 hours (may be a bit less). Kalpa-Kaza would take 8 hours. I would suggest that you spend 1 full day at Kalpa (try to reach by late afternoon and leave by noon next day). 2 days at Kaza and then break at some other place (may be Tabo/Shoja or some place else). Wishes. Enchanting and a very informative read as above. Would be reaching Shimla/Manali on 7th Oct with my family (spouse, twins 5+ yrs old). 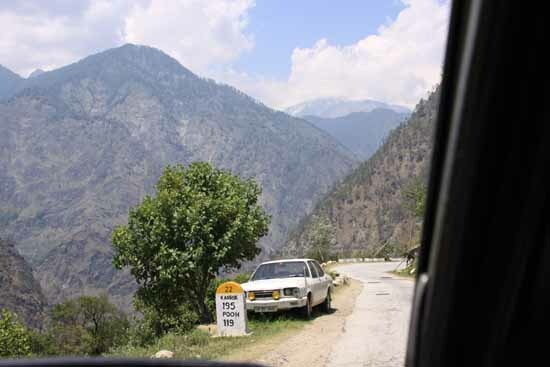 Starting 8th – Intend to visit Shimla – Kalpa – Kaza – Kunzum La – Rohtang – Manali – Delhi (to reach Delhi by 13th morning/eve) or Manali – Rohtang – Kunzum La – Kaza – Kalpa – Shimla – Delhi. 1. Is this doable within 7th – 12th, will it be very hectic with kids, is it advisable? 3. Where should I plan my stays/night stays? 4. Where should I take the cab from, will small cars like indica worth journey or else and approximate per/day expenses? Awaiting your response on this and thanks in advance! @ Sujoy – Thank you for your praise. I wrote a long comment but then deleted it. I wont advise it with 2 young kids. That terrain can be unpredictable beginning October. 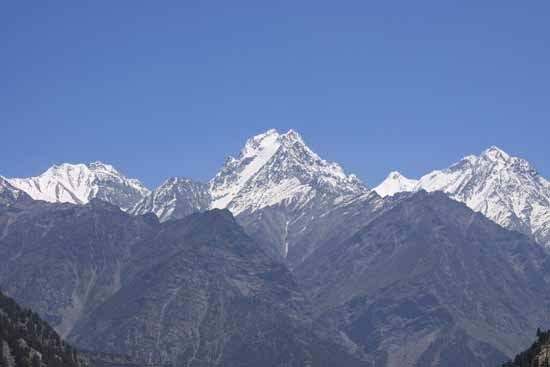 If you are keen on Himalayas then doing a relaxed Manali Hills (Mandi, Manali, Kasol, Manikaran etc) or Kumaon (Nainital Lake district, Binsar, Ranikhet, Kausani etc) might be more manageable. I am Pankaj Verma, I have reviewed the comments you guys has shared and they are very useful. I am Planning a tour to Kinnaur district with my friends. Our trip will be starting on 15th October around 1600hrs and anyhow we have to comeback by afternoon of 19th October. We have hired a Tempo Traveller for this trip. I really appreciate if you guys can help me in planning my travel itinerary along with must visit places. @ Pankaj – You have about 4 days. 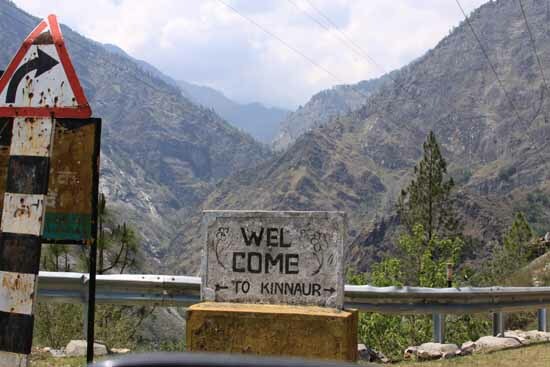 Sangla + Chitkul is the heart of Kinnaur and they are more than a day’s drive away. Usually there is always much more energy and enthusiasm on first day so if your driver can make it then then try to go all the way to Kalpa. You should reach there by lunch, if not sooner. Stay there for 16th night. Next morning head for Sangla. Stay there for 17th and 18th day. Start by evening on 18th and you should be close to Delhi by 19th noon. Depending upon how critical it is for you to reach here at a specific time, you can decide on whether you should take a break on 18th night or not. Kasauli/Solan is a good place. After that it is all plains. 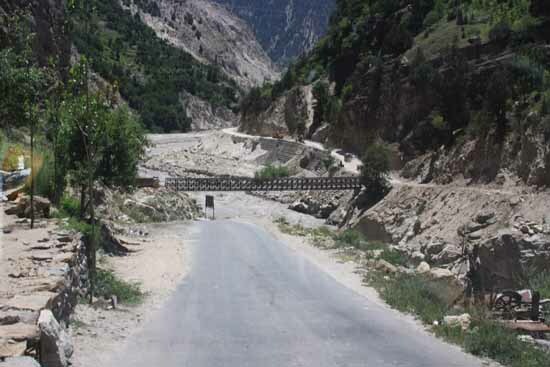 If I were you and I had 4 days then I would not go as far as Kinnaur. Instead I would do things like Fagu/Narkanda/Hatu-Peak/Solan etc. I am from Delhi and planning to visit Kaza. I am planning to start in December last week to January full first week. Is this good time to go, i love snow and hill driving. My son 11 year and daughter 3 year are also going with me along with my wife. if its good please suggest me itinerary. I am having Scorpio and xuv 5oo so vehicle is not a problem for me. with such young children i would discourage a winter drive, roads can get blocked and land slides do happen . 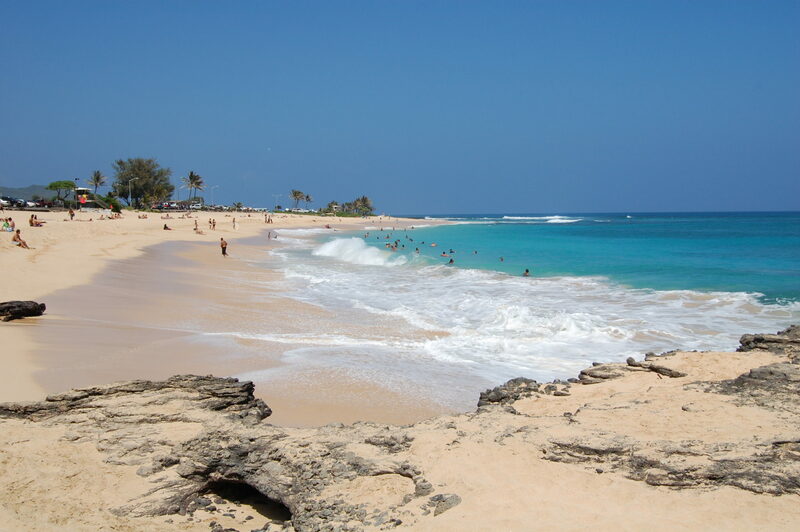 @ Vinod – It would be too cold to venture during Dec-Jan time frame. If you are keen on snow, then please head to Narkanda (a little beyond Shimla). Driving in snow needs special gear as well as expertise and I wont recommend it to you. Wishes. Is the Shimla-Kaza-Manali route open in March? I will be driving a Ford Ecosport with a friend. Apologies, I meant early June and not March. Nandan i am sure you must be enjoying a trip somewhere. I have a plan for my friends to have short trip either to Chanshal Pass or to Jalori Pass on the first weekend of april i.e. 02nd april to 5th April. we plan to leave Delhi on Thursday evening and return by Sunday evening. We are 4 and all are good driver. I am indeed away so apologies for late response. Jalori would be COLD in April. I have no clue of Chanshal Pass. I would recommend that you get advice from Anand on the following post. You may want to post your query by saying that Nandan recommended us to get advice from you :-) and hopefully Anand would respond back. All the best. Hi Nandan. Indeed an excellent review with explicit details. I am planning this route from 13 June to 20 June. Starting from jalandhar with proposed stays om 13th at Subatu, sarhan, sangla,kalpa, …., ……, ……., ……, Manali. Pls help me fill the places of stay from kalpa to Manali. @ Vishal – Thank you. Considering that you have 1 week, I would suggest that you stay at Kaza and then do Kaza-Manali directly. If you have more time, and if you are up for some adventure then I would recommend ‘Chandra Tal’ (between Kaza and Manali) as well. You may choose to skip Subathu and have more time at Sangla. All the best. Is it possible and kunjam pass is open in these days. Plz . guide & help me. Great travelogue. I came here looking for estimated time for travel between Shimla and Pooh. I live in Shimla btw. I just want to point out that there seems to be some error in the time given for Shimla – Rampur. Shimla to Narkanda itself would take you 2 hours, and then Rampur further would take about 2 hours. So it isn’t humanely possible to cover the 4 hour distance in 1.5 hours as mentioned. Yes Nikhil. That doesn’t seem right. I wonder, it took close to 6 years and numerous comments for someone to point this :-). Thank you. I thought that I wont update the log (just for posterity) but then a lot of readers may just read it briefly and might get mis-led. Thanks again. Great post, quite informative, me and my brother are planning for a trip to Kaza from Chandigarh, on a Bajaj Avenger 220cc, i have got enough knowledge from your post though. Just want ask what is the condition of roads these days as we will plan for July most probably..! Hey Dev – Thanks. From what I last heard (my co-brother drove last year), there is a detour after Khab because of some big damage and that detour stretches the time to reach by an hour or so. All the best and when you return, please update here on current road status. 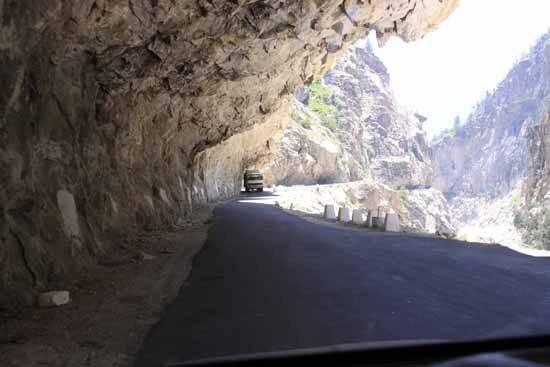 We are planning a road trip from Delhi shimla kaza manali Delhi within the next few days. 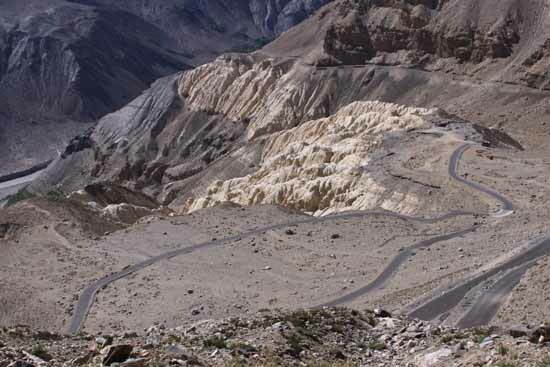 Would maruti swift be able to cross kaza manali part? Right now Kunzum is capped with snow. I was there on 23 Sep 2015. There is NO Road from Gramphoo to Moorang. Even a little technical down will kill your two days. There is no mechanic between Manali & Kaza. A Safari, A Scorpio and Two Santros were parked cornered on the road and the owner was God for those vehicles. For Shimla-Kaza section the Swift is ok. There should be no problem. Can we go to Kaza via rampur route on Hyundai Eon? in first 2nd week of November? Eon is enough for Shimla-Kaza route. 4 passengers should be therein. Please carry your all essentials and tools. Food and stay isn’t a problem. Yes, Swift would be able to manage during this time of year as you are unlikely to find any snow on the road. Please be watchful of total load. what if i limit my trip to kinnaur valley or to chitkul…will it be easy for 68 bhp small baby? well yes technically you can make it however i would recommend no but if you still do go in it make sure you are carrying puncture fixers and power tyre inflators . Also carry towing rope so incase you get stuck some larger car can help you. Problem is there are loads of hydel power construction going on and landslides take place which really make the road quality bad. Kinnaur lahaul spiti all 3 are very beautiful and its a personal choice but I would recommend if you have to go to on of those 3 then try Kalpa which is slightly above reckong peo. Beautiful view of kinner kailash from there. Dear Mr. Sharma – Please write your query as a comment on any Badrinath story. Interesting travelogue. I’m really keen on doing this route with my Bullet 350. Would it be possible to do that? Also, is it possible to do this route in April? Hi Ankit – Anything is possible with a Bullet 350. You can technically do it in April, but prepare for the bitting cold. All the best. Also while you can do Shimla-Kaza, you can not do Kaza-Manali in April because Kunzum pass is all blocked till late May (often Early June). All the best and thanks for dropping by and leaving a comment. Keep visiting Ghumakkar. Very useful and well described log. It is as long as a book. I liked it. Photos are also excellent. Thank you for not choosing the short cut way of writing. Thank you Santanu. And your comment made me read it again and feel good about it :-). Thanks again. When your time allows, please also read Kaza-Manali log. 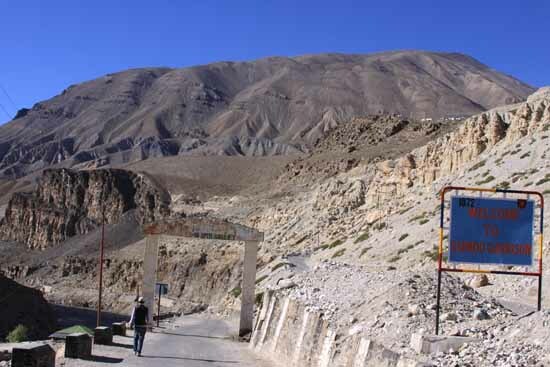 I am planning to Visit Leh via Karnal ~ Kurukshetra ~ Ambala ~ Zirakpur ~ Panchakula ~ Pinjore ~ Solan ~ Narkand ~ Rampur Bushahr ~ Reckong Peo ~ Kaza ~ Pangmo ~ Batal ~ Chhatru Dhaba ~ Khoksar ~ Keylong ~ Jispa ~ Sarchu ~ Leh. Request you to please let me know Spiti Valley Road Status and where should I take night halt in the above mentioned route. Karnal ~ Ambala ~ Solan ~ Narkand ~ Rampur ~ Reckong Peo ~ Kaza ~ Keylong ~ Jispa ~ Sarchu ~ Leh. Request you to please let me know Spiti Valley Road Status/conditions and where should I take night halt in the above mentioned route. definitely have a good car for really tough passes like rohtang . 1. Roads are mostly fine except in the RePeo/Sangla region because of the numerous large scale power-plan projects. 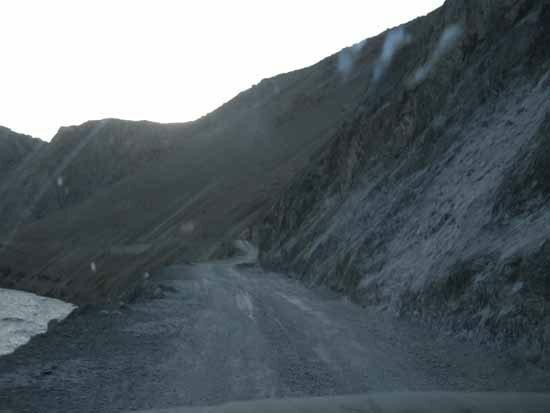 Closer to Kaza, there is a detour since the main road is broken. Read Roopesh’s recent log (published in July 2016) on this please. 2. Kashmir is going through a lot a of turbulence so if you are planning to return via Manali then you are good but if you are planning to complete the circuit via Srinagar then it is a not a great time to do that. 3. Its a long drive, so I would recommend first stop at Sarahan (after Rampur), Sangla, Kaza, Keylong, Sarchu (afterwards keep the plan open) and then Leh. 1. I will check Roopesh’s recent log. 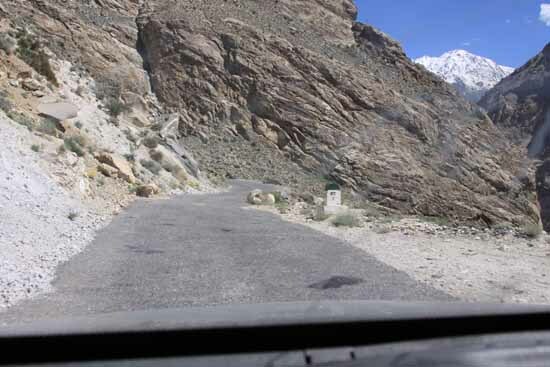 As you have mentioned Closer to Kaza, there is a detour since the main road is broken – that mean it is stony road ? Karnal, Reckong Peo , Kaza, Keylong/Jispa. Is it possible ? Also I am planning to take Hyundai Creta car. I am planning to go to kaza with my friend we both are senior citizens above 70 but in good health we plan to start on 1st may on my Renault pulse 1500cc diesel car .Can we do it pls suggest. Dear Kanchan – I salute your spirit of travel. May 1st would be just too too cold for a place like Kaza. I wont recommend it. If you can not travel at some other time then I would suggest that you keep your plan open and then decide based on your experience at Shimla, Narkanda, Recong Peo, Sangla etc. Since you would be traveling by road, I am guessing that you would take stops on the way. I m planning to go to kaza lahaul and spiti in the first week of April. How much days do I need? and which will be the best route because Rohtang pass will be closed i guess. I am guessing that you are starting from Delhi. For a Delhi-Kaza-Delhi trip, please plan for at least 10 days. 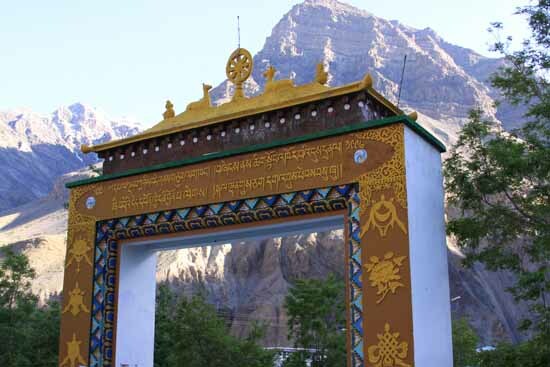 15 days is ideal to make the most of Spiti. And there is only one route viz. 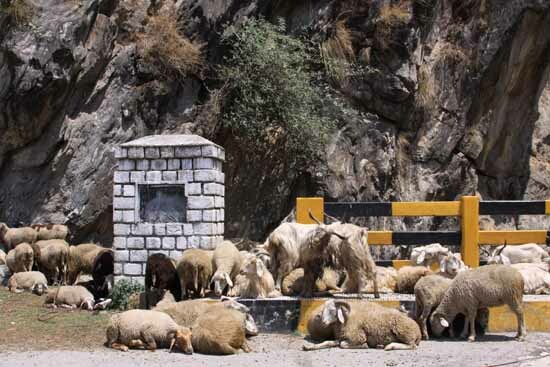 Delhi – Shimla – Rampur – Peo – Karchham – Khab – Sumdo – Kaza. I do hope that you understand that April first week is gong to be super cold, beyond Rampur. Please plan accordingly. All the best. Dear … thanks for writing such wonderful accounts of your travels.. 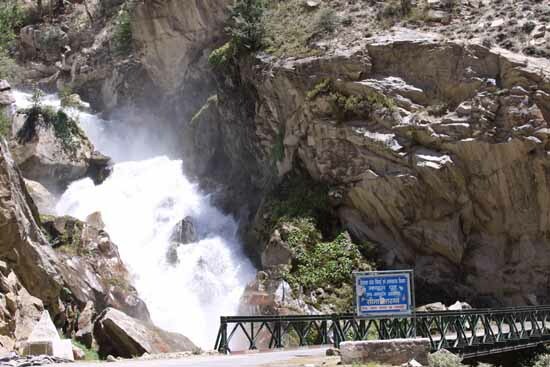 I am planning Delhi – Shimla- Kalpa- Kaza- Manali- Delhi during the second week of July. Is it a good time to travel? Can I go in an alto K10… or u suggest me to take other modes of travel? July can be a little tricky till Kalpa because of Monsoons. Post that you should be OK. Weather (cold) wise, its a great great time since you would more day-light and you can venture out easily (much less cold). Alto K10 is a great car, small, agile, can be fixed anywhere so I wont be worried on those factors. Of course, a taller car helps. I am doing a trip from Bangalore to Leh in August. I plan to take the Simla-kalpa-kaza-keylong rout to avoid Rothang Pass. Could you help me with hotel information that I could use for accommodation. I am driving my Duster 4×4. I plan to stay in Kalpa and Kaza. Please do suggest if I should change my route plan based on where to stay. Hello Subhash, Thats great to hear. Blr to Leh would be one long ride. – I am sure you know that Delhi-Ropar-Shimla-Kalpa-Kaza-Keylong is much much longer than Delhi-Ropar-Manali route. Please do not go by the total distance. 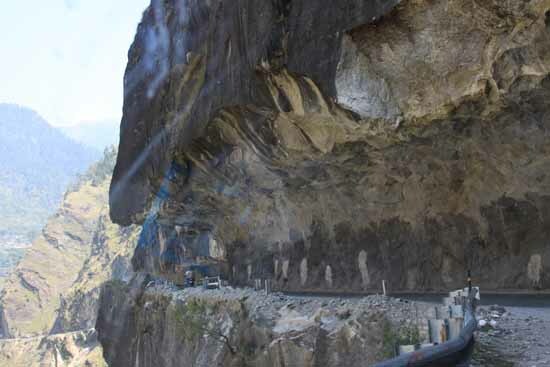 – Kalpa – Kaza is not a single day-light drive. Please plan accordingly. 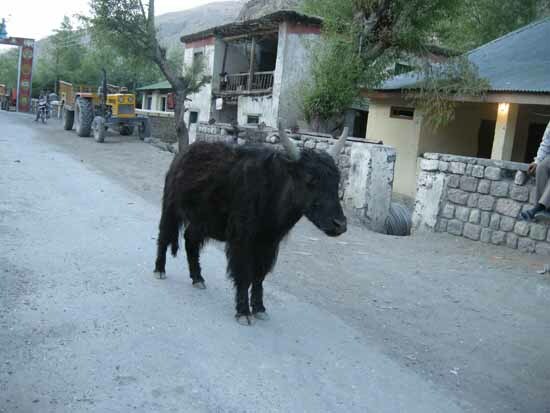 – Once at Kaza, I recently read someone staying at Kibber, a homestay. If you do well from AMS angle then it would be a worthwhile to stay at Kibber. Thank you so much for the response, I really appreciate it. I do understand it is a long route via kaza, but I thought may be not miss spiti valley this time. I have been to khardungla from Hyderabad via manali 12yrs ago on my bullet in July, so I am a little familiar I can say. For AMS I just need to worry abut my family who will join me. 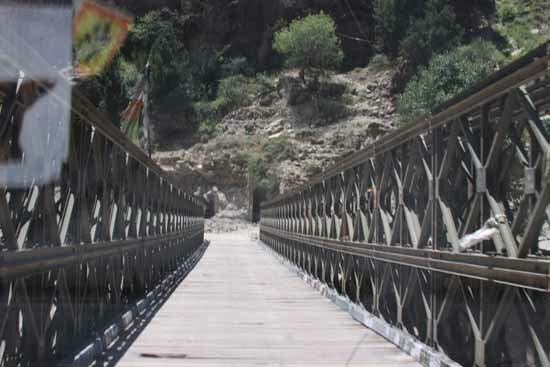 I do have buffer days, so if Kalpa – kaza is not a day’s drive, where do you suggest I stop over. Is it at Nako? If there is anything I need to be worried about, please do caution me. I am told that there are many petrol buks till kalpa, I hope that is true. I would really appreciate any advice from you as I am not part of any clubs and just travel all by myself. Sincere thanks again! Nako would be a good stop. I did Sangla-Kaza in one day. Till Peo, you are in a very active/buzzing area so no worries on petrol pumps. Post Peo, just be watchful. No advice as such, just go slow, keep the cabin atmosphere light :-) and enjoy the journey.